A tour with an excellent vintage, this 7-day Driftwood tour is a fantastically comprehensive Irish tour experience. Its relaxed and flexible itinerary covers some of Ireland’s best scenery and historical sites. A fantastic small group tour of the south-west and west of Ireland. A great way to see Ireland in 7 days. Please note the direction of the tour is not optional. This Driftwood small group 7 day tour of Ireland covers the south-west and west of Ireland. 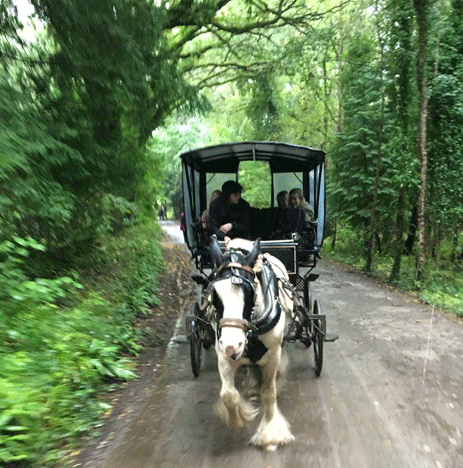 A tour with a perfect blend of breathtaking scenery, history, culture; there are visits to some of Ireland's greatest stately homes and gardens; Free times to wander and explore the local communities we visit; excursions to a whiskey distillery, excellent accommodation, food, Irish pubs and much, much more. 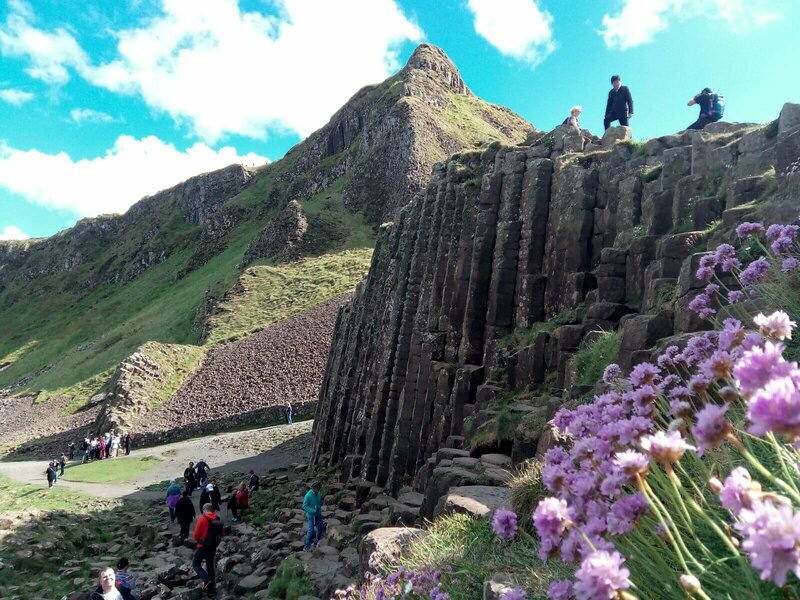 We will take you to some of Ireland's best-known tourist spots like the Blarney Stone, the Ring of Kerry and the Cliffs of Moher but also because our groups and vehicles are smaller, we will also take you right away from the beaten track and show you our favourite hidden corners of Ireland. Firstly we head south-west, through the green heart of Ireland and counties Kildare, Tipperary and Limerick to Counties Cork and Kerry. We then spend the next 4-5 days exploring the fabulous south-west of Ireland and its varied peninsulae before then weaving our way from County Kerry across the great River Shannon into County Clare. Once here you have the limestone lunar landscape of the Burren to explore, you will have some of the very best traditional Irish music to enjoy in the pubs, you have the cliffs to marvel at. Afterward, we head up along the coast to Galway city, where we spend a couple of hours. Last but certainly not least is the wild and rugged Connemara region, a remote and beautiful area which has a special place in the hearts of the Irish people. Nowhere quite typifies old fashioned Ireland like Connemara and so it makes a fitting location for the last night of the tour. We head back to Dublin either via Galway city or through Cong in County Mayo, stopping in Kilbeggan on the way for a bit of whiskey tasting to round of an unforgettable week. Please see below for the list of departure dates currently available for this 7-day Driftwood “Treasure Ireland” Tour. If the dates you are interested are not available, please contact us as we may be able to release some places or schedule on another tour. Please note that this tour each week will be travelling in either a clockwise or an anti-clockwise direction. We do advise checking with Vagabond first, especially if you are meeting up with anyone along the way or have other travel arrangements that we may need to coordinate with. Take the opportunity to explore the gardens and abbey. Pace Of Tour:A relaxed pace of tour with free time, days are filled with scenery, history and culture. Estimated US$ guide price: $2,104 USD (based on US$1 = €0.84). Above price for 2019 tours.